Kirkus Reviews: ​"Farrell brings in the voices of the women, which provides clarity and understanding of what they experienced. She also highlights the role of black newspapers in keeping the community informed about the difficulties they often faced. The text is richly supported with archival photographs. The importance of this story is amplified by the inspiring foreword by Maj. Gen. Marcia M. Anderson, Army (Ret. ), who makes a direct link between the determined struggles of those described and the achievements of African American women in today's U.S. military. The stories in this valuable volume are well worth knowing." "​Farrell explores the degradations suffered and resistance mounted by Black WAACs and WACs (when the corps became part of the Army) and follows the experiences of the 6888th Battalion....Readers familiar with Sheinkin’s Port Chicago 50 (BCCB 2/14) will be fascinated to learn that female personnel disobeyed orders under threat of court martial as well and that wearing a uniform skirt was no protection from physical assault for Black women soldiers." ​​"An essential purchase for public or large school libraries interested in workers’ rights and social justice." Kirkus Reviews: A cogent, well-documented, handsomely designed treatment of a heretofore forgotten hero of labor. "Farrell does not take sides when writing about the incident in which Sellins lost her life. She writes the facts as though she were there, ace reporter, after-the-fact—which she was. Yet, thanks to all her trustworthy research, what happened on that awful day is easy to surmise and horrible to believe. Not every hero survives. "While young readers may study a little bit about the labor movement in the United States, it is often impersonal. Focusing a movement around the actions of one person is a great way to encourage empathy for it by giving it a human face. ​Today we're excited to chat with Mary Cronk Farrell, author of Fannie Never Flinched! The Rick Smith Show is a labor radio program from Central Pennsylvania. The show covers state and local politics and national issues. Thanks, Rick for recommending people put FANNIE NEVER FLINCHED on there Christmas list! Author of "Fannie Never Flinched” joins Rick to discuss her recent kids book on labor organizer Fannie Sellins and explain what convinced her to write this book and what she hopes will be learned from its pages. "Farrell chose Pittsburgh to introduce her book because of the story's strong ties to the region. There are many books written about young people enlisting in the military, being unprepared for the horrors of battle or tortures of capture, serving bravely, and coming home. Steve Sanders interviews me about how the food supplies dwindled in the POW camp until the nurses were receiving only 500 calories a day. So weakened by starvation they hardly had the strength to climb a stair step, the women continued nursing others in the camp hospital. Video no longer accessible here to see PURE GRIT on WGN-TV Midday Fix. Audio no longer accessible here to listen to Pat's interview with me covering the nurses before the war, their experiences in POW camp and betrayal when they came home to the United States. by Major Van Harl USAF Ret. 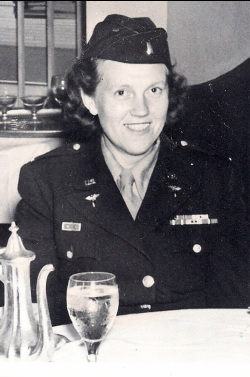 In her new book, local author Mary Cronk Farrell writes of the unsung female heroes of World War II....As she entrenched herself in research, Farrell heard story after story that horrified her — tales of bombings and mass carnage, of violence and steadfast courage. She found out that even as bombs were falling around them and bullets were flying past, these World War II nurses never wavered from their compassion. Farrell was floored by a photo she found in her research of a young Japanese soldier receiving care from American nurses. Bill Kenower, Editor-in-Chief of Author magazine, talks to writers of all genres about the books we write and the lives we lead, and how these two are one in the same. Here, Bill welcomes novelist Mary Cronk Farrell to the show to discuss the books we write and the lives we lead. Almost every page of “Pure Grit” features photos. Pictures of the nurses before the Japanese invasion show them enjoying their tropical locale, but the book also features grim combat photos that depict the horror and deprivation they endured..
"I fell in love with the women featured in this book. I fell in love with their strength, determination, and willpower. I fell in love with their grit. Ethel Thor did not talk much about the three years she spent in captivity as an Army nurse in World War II, nor of the Japanese attack that started it all 72 years ago this weekend. She’d say the men captured on the Philippines’ Bataan Peninsula suffered far more than she and the nearly 80 other female American military nurses who were taken prisoner in the war’s early days. She felt there was little more to say. Text and Web-site by James Bowen. Q: Mary, how do you hope to influence today’s young readers through this book?